The history of the LaMalah Children’s Center begins at Sukkot of 2010. 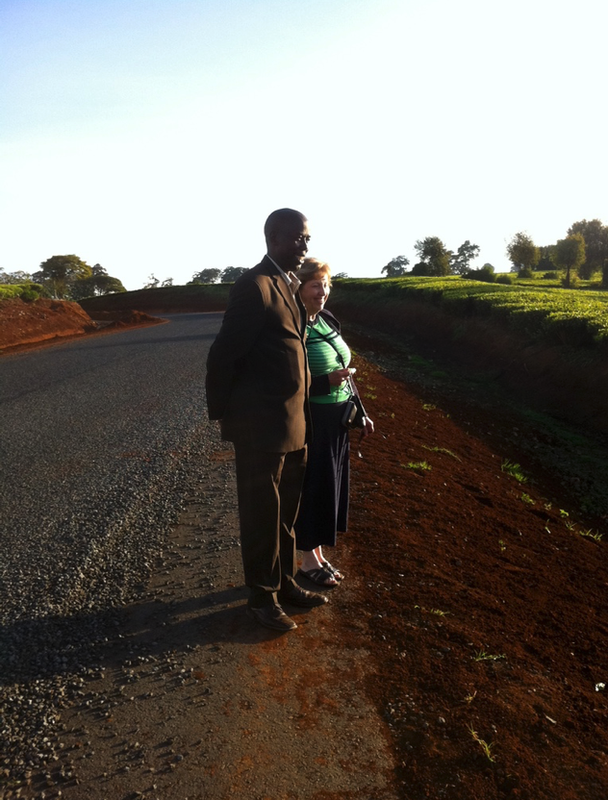 Another ministry put us in contact with a minister in Kenya who wanted to take the Creation Gospel training course. He represented scattered communities of Torah believers around Kenya, and he wanted to take the training back to the Torah-keeping communities. After much government red tape, we determined that it would be very difficult for Brother Peter Ndungu to travel to the United States for training. Instead, we raised the money to travel to Kenya in April of 2011. We post orphanage updates on Facebook and in our e-mail newsletter. 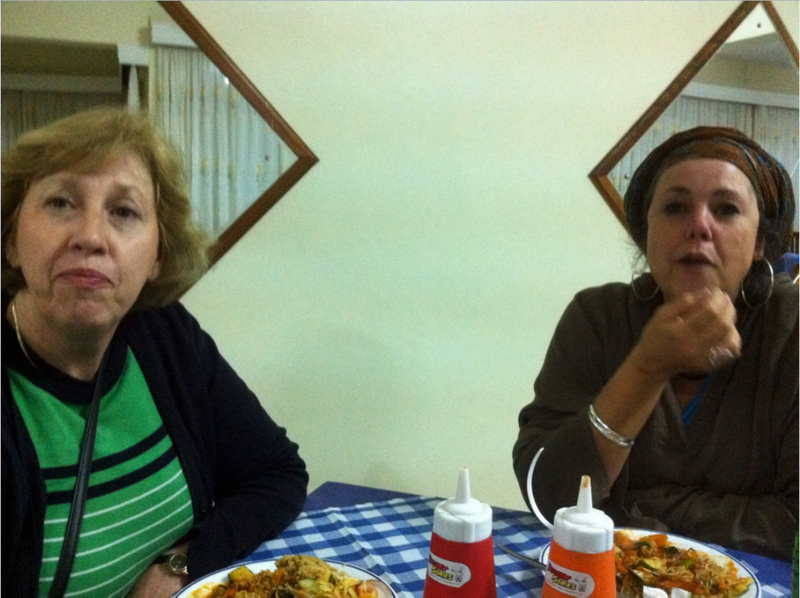 Two other ladies, Brenda Westbeld and Joan Pennington, accompanied me on the trip. 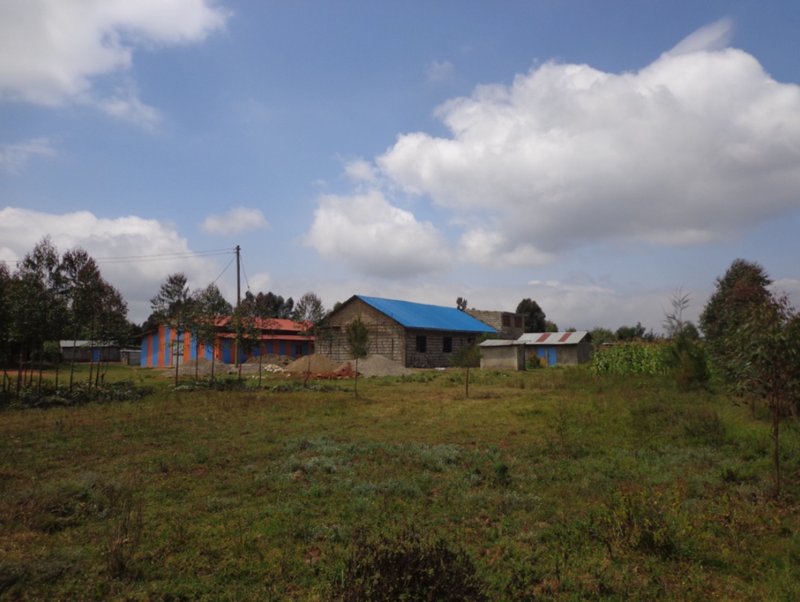 The plan was for us to stay in a hotel in Limuru, Kenya, and hold the Creation Gospel training for as many as could make the trip. We rented the conference room at the hotel, which was surrounded by high fences and armed guards, and we paid for the hotel to cater the lunch meal. Had I realized at the time that this was the only meal that the attendees would have each day, I would have tried to find the money to do more. Those who did have some money would buy fruit in the street stands, bring it back, divide it, and share it with the group. The hotel was very austere, but compared to the quarters of those who attended training, it was luxurious. We had mattresses, toilets, and hot water. Those who attended spent the night in a tin building several kilometers from the hotel. They slept on a dirt floor. There was no electricity or indoor plumbing. They walked each day dressed in their best clothes to attend the training. How they managed to stay so clean and sharp after hiking along that red mud road, I’ll never know. 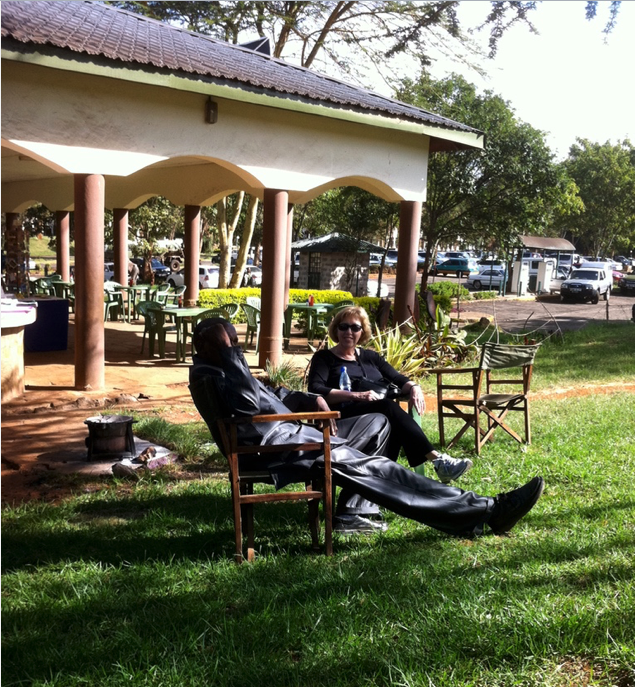 They sat practically silent for five days while the interpreters translated the teaching into Swahili. Above are photographs from the Limuru congregation which is located among the tea plantations of Kenya where we attended a Shabbat service. When it was time for the Creation Gospel trainer test, the students had to take it in English, not Swahili. While Brenda, Joan, and I were grading the tests, it dawned on me that I was reading my exact words in their answers. Not the way I taught Creation Gospel in Chicago, Houston, Orlando, or anywhere else. It was the way I had to teach it THERE, stripping out all the American idioms that wouldn’t translate into Swahili (or culturally). Their answers were verbatim. I called over Brother Ndungu, and I asked if they had somehow memorized my words while I was teaching. He said yes. “How?” I asked. I’d been talking for five days! His reply was that they couldn’t afford books, so they memorized things that they wanted to remember. Most of those who took the test passed it in English, and they were equipped to take the teaching back to their congregations and teach it themselves. They were the most gracious, respectful, and intelligent group of students I’ve ever had. 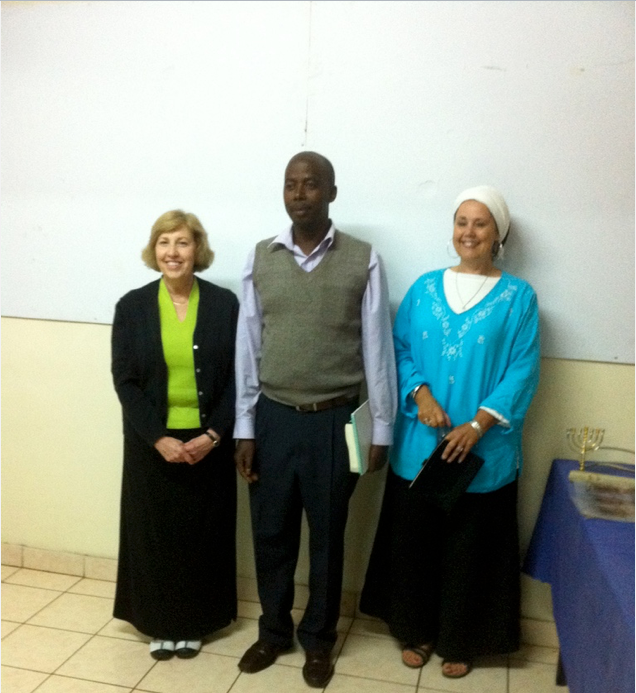 We maintained contact with the Kenyan congregations through Brother Ndungu, and the proceeds of Creation Gospel workbooks supplied them with the funds to celebrate Passover and Sukkot collectively; we helped one of the interpreters to finish undergraduate and graduate school. 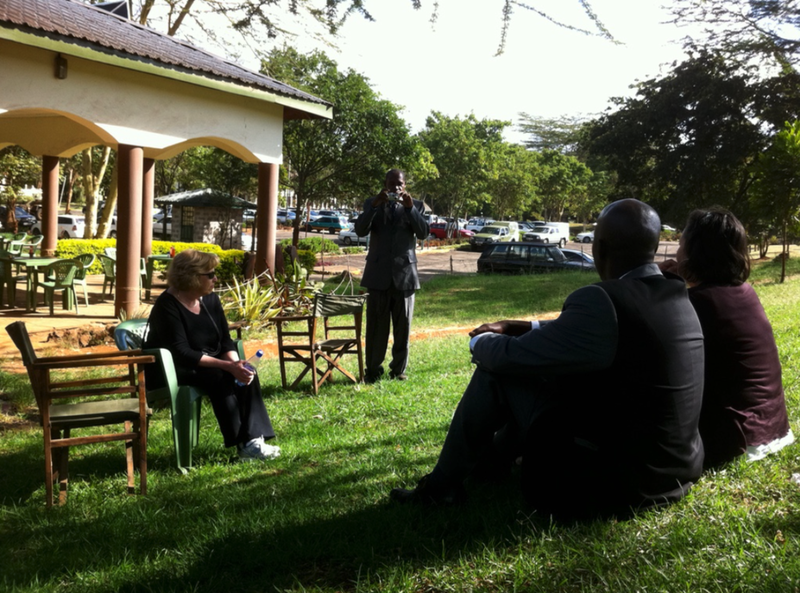 In 2014, Brother Ndungu expressed to us the need for an orphanage or children’s center. The Torah community is not wealthy, so many children who were orphaned were being taken care of by extended family members who did not have the means to supply their basic needs. Some children had a parent, but the parent was too disabled to provide. We helped him to finish undergraduate school and Masters at Mt. Kenya University. He has now been offered a teaching position at the university while he works on his doctorate. Although I had no confidence that I could write or sell workbooks fast enough to keep up with the monthly support even if we could raise the money to build the orphanage, we prayed about it. I asked Brother Ndungu (who was in construction before he became a pastor) to create an estimate of the cost to build the building he had in mind. It needed to be broken down into stages of construction. Brother Ndungu sent the estimate for materials, and the community would supply the labor. Psalms 69:30-31 I will praise YHWH’s name in song and glorify him with thanksgiving. This will please Elohim more than an ox, more than a bull with its horns and hooves. My prayer today is May Our heavenly father receive all honor and esteem. Thank you too for this effort. It is not in vain. I have a good experience in the building industry, having started as a casual, then a qualified mason and a foreman before coming to work in the ministry. For this work , we intend to be as frugal as possible and in many instances mobilize brethren to help with the labor. I will personally be the supervisor/foreman. With this 1st donation we intend to buy sand, 3 lorries at kshs 45,000 and maybe an extra lorry of 9x9 and cement and measure out the building and lay the foundation. We also need some ballast -may be 2 lorries to start with. As per our thinking we would like to bring up a permanent building for the destitute so at least they too can have a taste of some good life . Probably with a few classes as well. We are thinking of a building which can take 50-85. If possible we would like to include at least 3 classes and a nursery plus a small office. We have about 4 lorries of foundation stones size 9x9. I have worked long in the building industry and i know much about this so i can direct the project. We have people who will be very willing to provide labor. But we will also need qualified working personnel. We will be in a position to send photos to you to show how we are progressing. Again,we will try to be very frugal without compromising quality. We would need a very strong foundation with a view to make the building a double floor in the future. 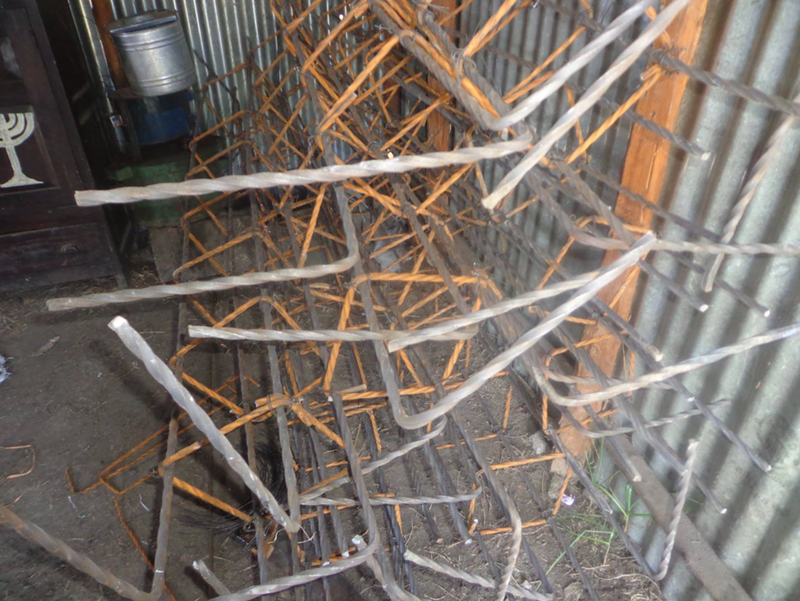 And that calls for some steel bars. The second phase would be some lorries of machine cut stones , cement and some cash for the qualified working persons doing the work. This would need like 2500 dollars but again, it can be broken into two. In all this work, our aim is not to exceed 12,000 dollars.
. May YHWH bring this to pass is what we pray. Blessings and Shalom. We put the need before our Facebook readers and newsletter recipients, and they responded. Stage by stage, the building went up. If you search the old photos on the Creation Gospel Facebook page, you can see the building going up by stages. We also purchased a 10,000-liter cistern so that the Centre would not have to purchase water. The building was finished in 2015, and more finish work was added, such as metal bunk beds. The Centre was named LaMalah Children’s Centre. LaMalah means “upward” in Hebrew. Children began to arrive, and two full-time staff were hired. Since then, donors have provided the funds to purchase two milk cows for the growing Centre. The kids learn to work in the garden to grow their vegetables. They go to school. Some children were taken in who did not have a background in the Biblical Sabbath and feasts, and they are learning how to “live Torah.” They sometimes experience health problems from early malnutrition, but they are now safe, well-fed, and educated, both physically and spiritually. Some kids had trouble adjusting. For instance, two brothers were taken in, and the school principal called Brother Ndungu for a conference concerning whether the children were properly fed. Brother Ndungu responded that yes, the children received three daily meals. These brothers, however, had been hoarding cornbread and taking it to school in their pockets because they’d never been assured of daily meals. Rather than embarrass them, Brother Ndungu bought them lunchboxes and allowed them to take cornbread to school until they realized that they wouldn’t go hungry. Although sometimes monthly donations fall short to meet the $800 minimum expense to run the Centre, our congregation, The Olive Branch, helps out when needed. We are under their umbrella both for spiritual and financial oversight. What we thought was impossible was possible with Adonai. The community in Kenya continues to grow, and Brother Ndungu and other elders even travel to neighboring countries to teach the Good News of the Torah and Yeshua. Although the internet is flooded with scammers who play on our desire to give to the poor, this community is thoroughly and personally vetted. When we send money for a project or purchase, we receive pictures of it so that we can see that the money was not misspent. Those who want audited receipts for most purchases from third-world countries are out of touch with reality. Although they have little in the way of worldly goods, the Torah community we’ve worked with in Kenya is one of honor and dignity. They do not bring reproach to Messiah’s Name. We have never taken a salary from The Creation Gospel. Proceeds go to the orphanage, prisoner materials, materials for the indigent, and other contributions to needy individuals or promote Torah and Yeshua to the nations. If a donor designates a donation as “Orphanage” or “Prisoner Materials,” that’s exactly where 100% of that donation goes. The general fund absorbs both the Paypal and money transfer fees so that the 100% is still 100% when it arrives to Kenya. If a donation is not designated, then we are free to use it to pay bills, such as workbook formatting, printing, or to send support where we know there is a need. What if you are approached by someone overseas (or anywhere) to donate? Be as wise as a serpent and as harmless as a dove. If you desire to donate to good Torah causes, seek out the vetted ones. Ask around. The Torah community is pretty small, so be a good steward and do your work. If you don’t want to donate, then it’s impolite to strike up conversations about the evils of scammers. That’s neither doing the work nor helping those who are. Delete solicitation emails and block facebook solicitors. Don’t engage in the conversation.If you can’t resist engaging in the conversation, be willing to buy a ticket to that country, spend time with the people and ministry, and be confident in their integrity. Ask for pictures, receipts (not always possible), or documentation (such as blueprints). Enjoy building new relationships within the Body of Messiah.Every nation, tribe, and tongue.